Celebrate your event in style at The Seasons: a venue in Washington Twp, NJ. Your wedding is the most important day of your life, and you want to ensure that it is memorable. Nothing makes a party like good music. Of course, in order for your event to be perfect, it’s essential that you retain the services of a DJ who really knows how to set the mood for your wedding, Sweet 16, Bar Mitzvah or Casino Night. Regardless of your event, Mystical Entertainment can help you entertain your guests with great dance music. We’ll give you the celebration you deserve with our powerful beats and amazing music that you won’t be able to help yourself from dancing to. 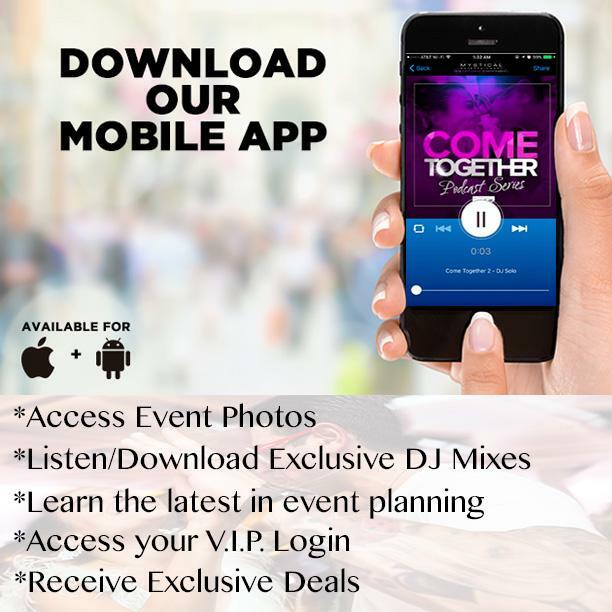 We offer a variety of fantastic music selections for you to choose from, and the goal of our DJs is to get you and your guests up off your feet to let loose and party. Your wedding is supposed to be a wonderful time filled with laugher and love. Let go of all the stress associated with event planning by letting us do it for you. We’ll take all the detail-work out of your wedding planning so that all you have to do is kick back and enjoy the wedding of a lifetime. There’s no need for you to become overwhelmed with appointments, purchases and obligations. You are free to enjoy yourself and your wedding day when you hire Mystical Entertainment to do all the hard work for you. We make it so that you don’t have to hire a separate event planner when you hire us to DJ your wedding because we are more than happy to serve as your event planner as well. When you book The Seasons for your wedding venue, all your catering needs will be taken care of. Your guests will love the sophistication of the décor, and you will too. From expansive ballrooms to romantic scenery, this venue has everything you could desire and more. Memories of your wedding will last a lifetime with our expert service to host it.